Holly Knitlightly: New Zealand has more sheep than people. The other day I thought I should share some of my collections on my blog. 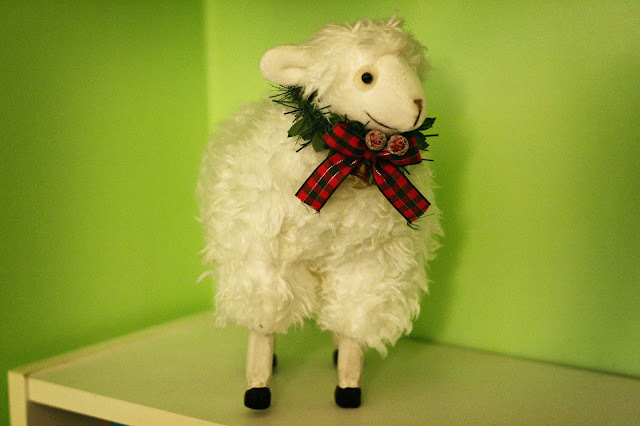 So, of course I started with my collection of sheep. 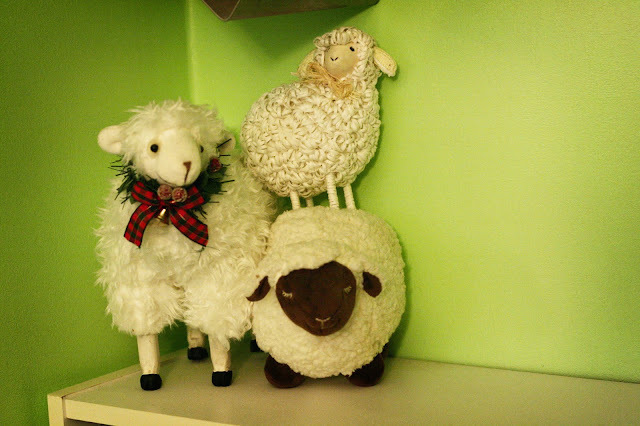 I'm not a big stuffed animal fan, but when it comes to sheep I want it all... haha! Anytime Keith or my family find something to do with sheep, they usually pick it up for me. So, this is my collection. I do have another one somewhere (I had to hide it because Squirt thought it was her toy & would constantly lick and chew it), but this is it. If anyone would like to add to my sheep collection, that would be awesome! Haha. A few other things that I collect are teas (which I don't really mean to collect, I just take my time drinking them. But I'm trying to enjoy them more instead of letting them sit on a shelf! ), yarn (of course), books (don't most people? ), and... that's all I can think of now. But I'm sure I've got some I'm just completely forgetting about. Anyway, I'll be taking photos of those things & sharing them with you guys! What do you like to collect? Ya's true, I think we could have like ten sheep each ha. 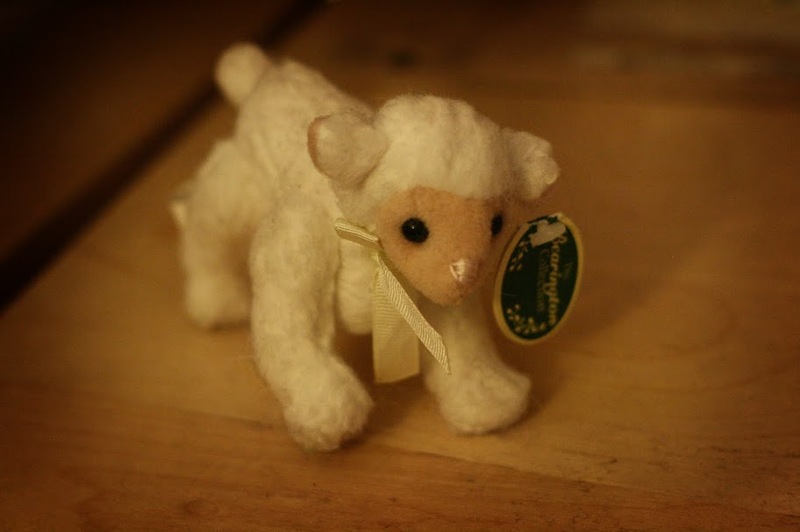 We have so many sheep souvenirs so I'll have to keep my eye out for any extra cute ones for you! I love your one with the tartan bow. 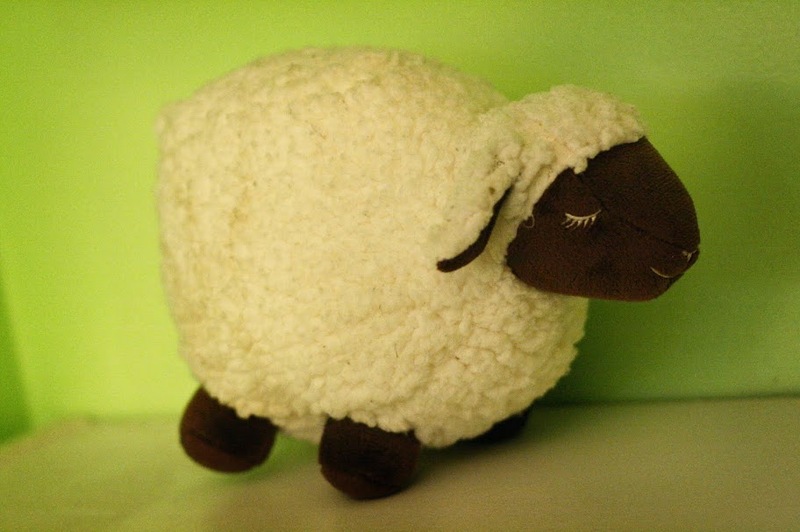 Oh, I love sheep... you have some really cute collectibles there :) My first toy animal was a sheep, too! cutest collection ever! and what an interesting, random fact! I accidentally collect teas as well, and I'm getting a bit of a teacup and saucer collection too! And a moustache collection. People keep giving them to me, it's brilliant.